Apparently, the last post for the Foodie Files series was from last October. Life has been busy and I haven’t really bothered going out to explore these hipster spots. That, and I’ve been *trying* to watch what I eat. But fear not, I bring you two new places in this post. 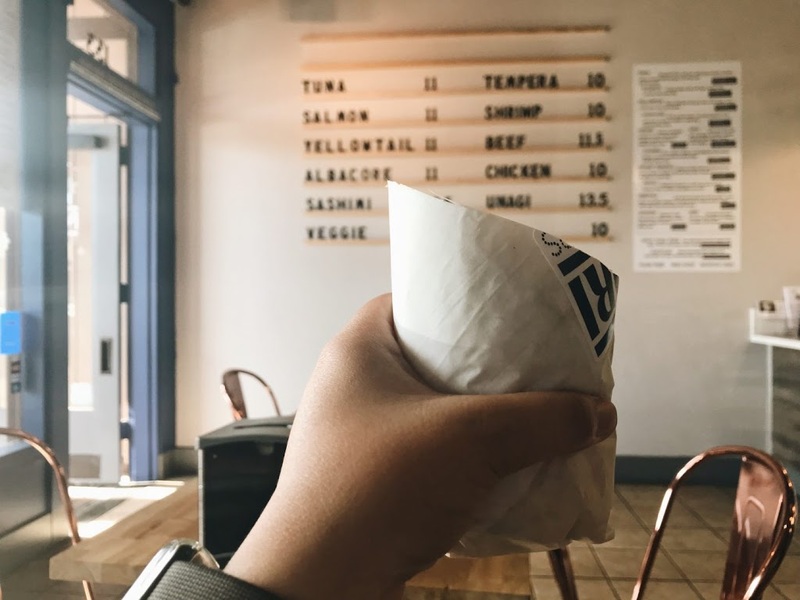 I found out about this little sushi burrito spot through one of my coworkers. 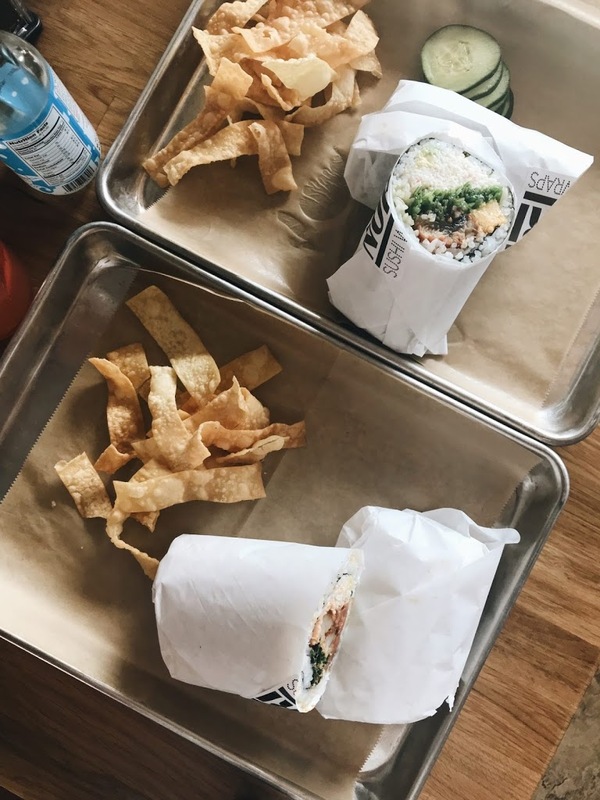 I’ve always been a sucker for poke (actually thought of making a post about my favorite poke spots but I never got around to taking photos of my poke bowls, whoops) so when I looked up online that it was basically poke but in a burrito – I was sold. 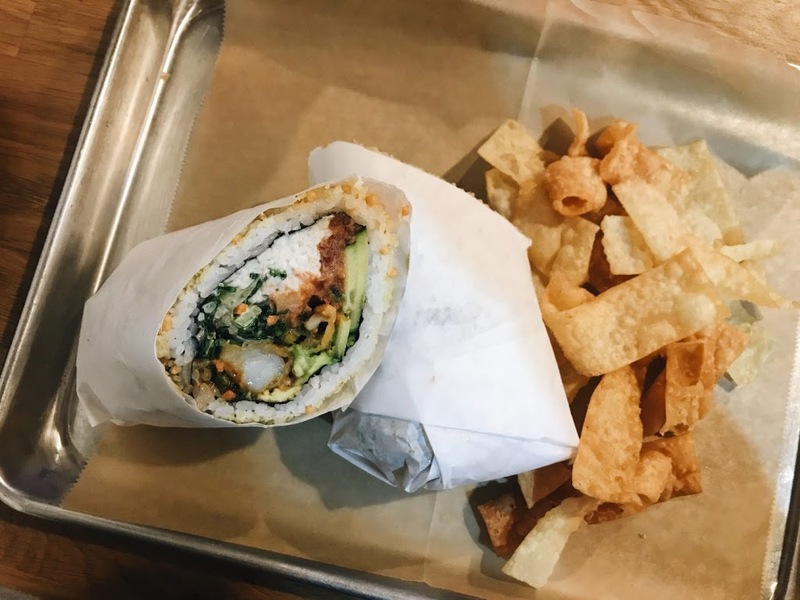 I went during one of my lunch breaks at work one night and ordered the Shrimp Tempura sushi burrito. It came with shrimp tempura, cucumber, avocado, crab meat, spicy tuna and kale lettuce slaw. Mmmm, it was delicious. I’m not a big fan of spicy tuna, but everything seemed to blend together just fine. I sent a photo of my plate to my brother and we came back a few days after on my day off. The portions were really good for $10/burrito. Worth it. 5/5 will come again. I met up with Nancy and Alyse again recently! 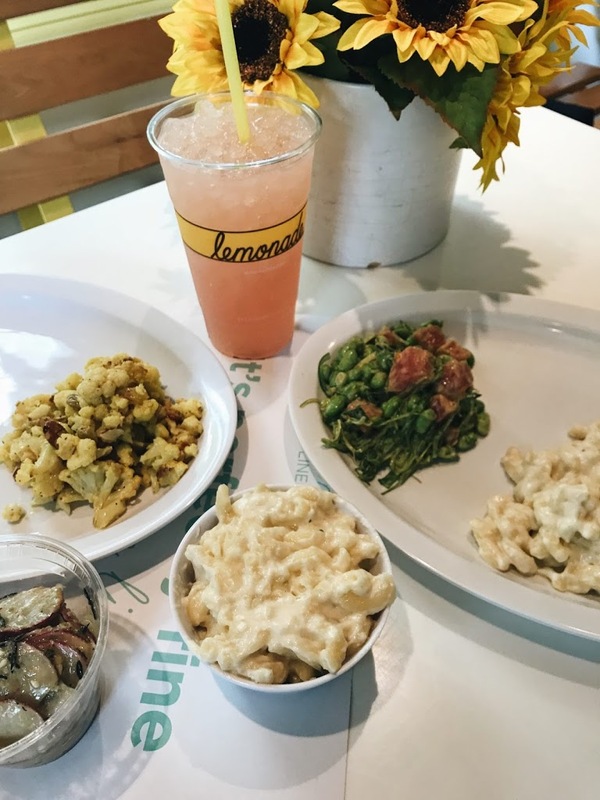 We hit up Lemonade, in the heart of Pasadena. It’s basically a cafeteria for adults where you choose your sides and build your own plate. I’m in love with their truffle mac-n-cheese so obviously I got that along with a serving of their original ahi poke. Their rosemary watermelon lemonade is THE best, so it definitely paired well with my meal. 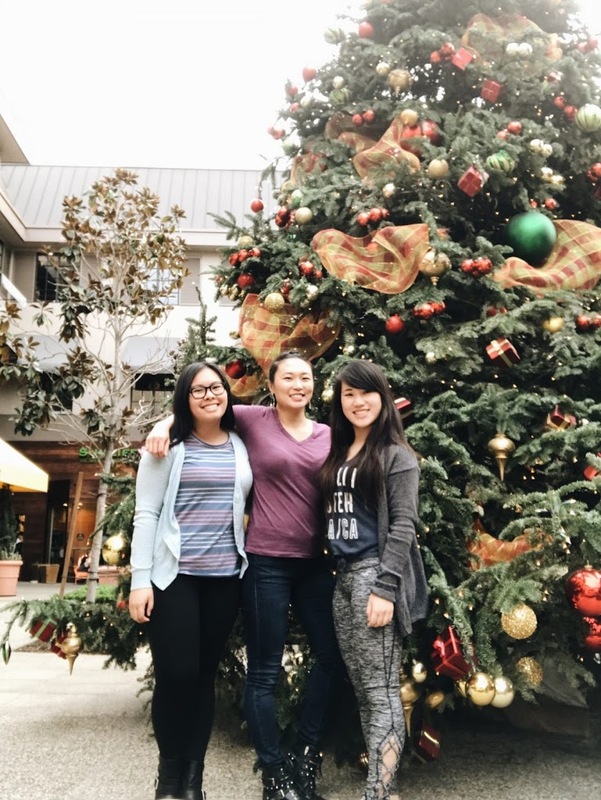 The last time I met up with these lovely ladies was back in September where we got some food at Din Tai Fung. Life has been really hectic for all three of us so it was great to finally find time that worked well with our schedules and catch up. I’m just gonna throw this out there but blog friends are true friends, y’all. 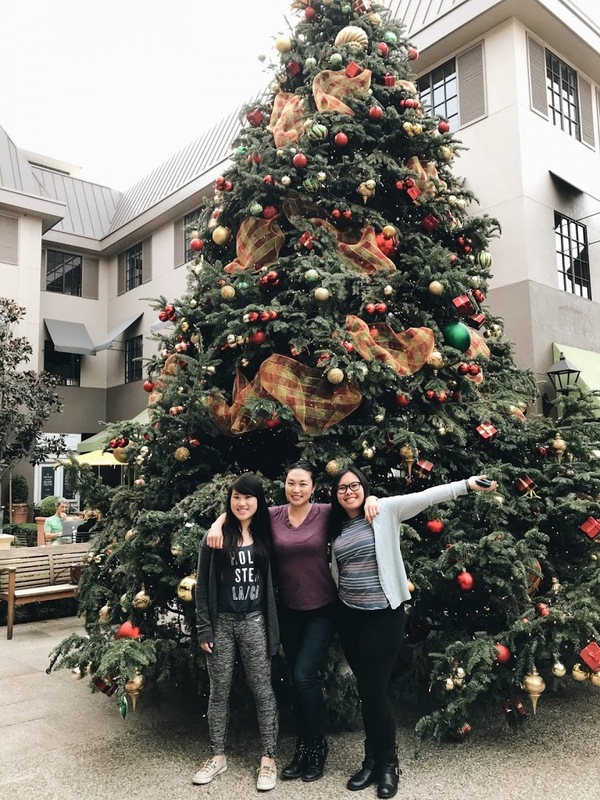 After eating, we decided to take photos by the massive Christmas tree right outside of the restaurant. Also, just two weeks until Christmas!! How crazy is that?! Stay safe this holiday season and hope everyone had a lovely weekend!